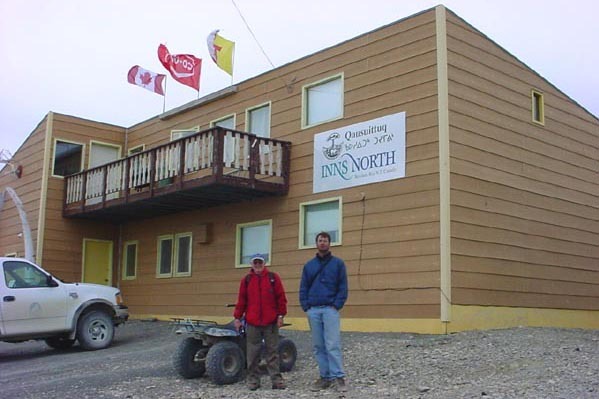 In the summer of 2002, I joined Dave Ellis (my back pack partner of many years) and his son Brad on an expedition to Ellesmere Island in the Canadian arctic just off the northern tip of Greenland. 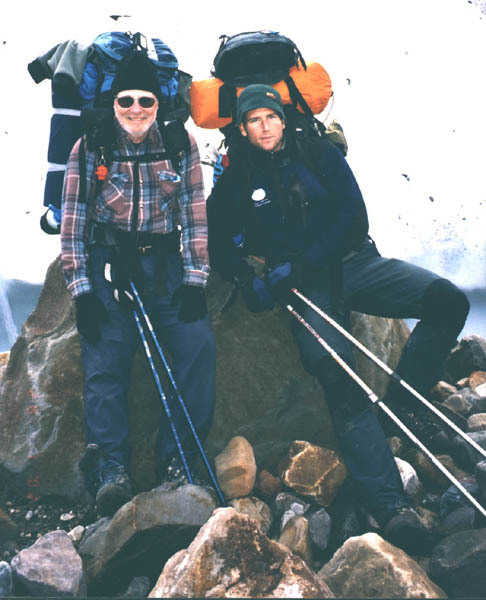 The three of us flew to Ottawa on a commercial airline then on to Resolute by FirstAir. Resolute is the furthest point north to which commercial airlines fly. 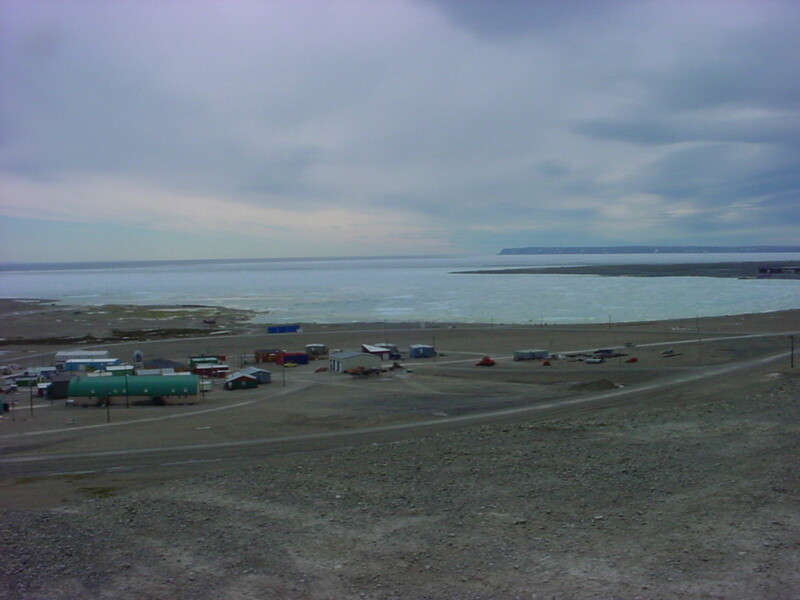 From there we flew by twin otter to Hazen Lake on Ellesmere Island. 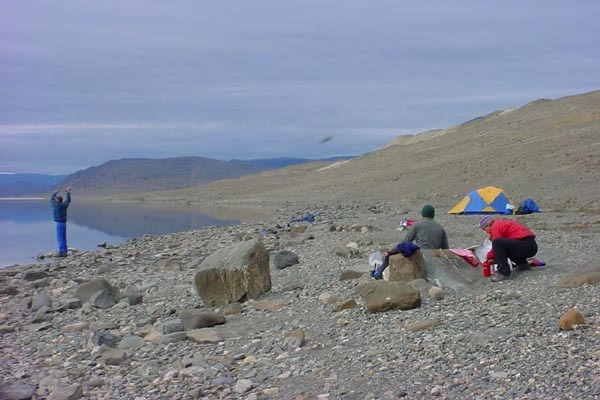 The Hazen Lake camp is a research station, usually manned by one or two people during the summer. In addition to the three of us, the group consisted of a father and daughter team from New York State, and two guides (Jill and Bart). The trip was arranged through Blackfeather of Parry Sound, Ontario, Canada. 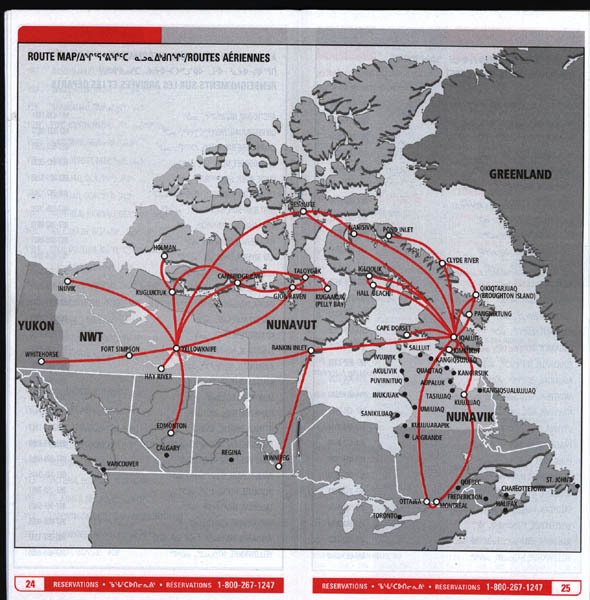 A map of First Air routes. 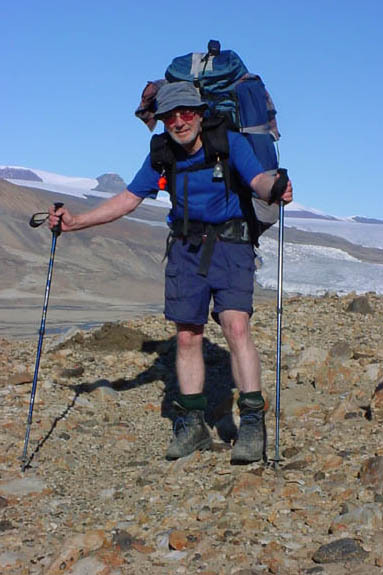 Resolute is the most northern point on the routes. From there we flew by Twin Otter to the land mass at the top of the map across from northern Greenland. 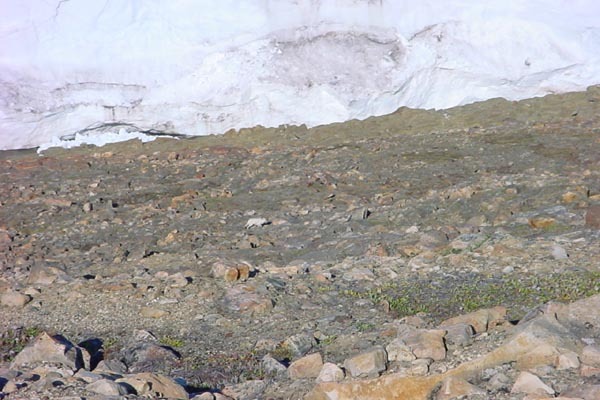 We walked between the Hazen Lake Camp and the Tanquary Fiord Camp. This took 12 days and, according to our gps track, covered a distance of 100 miles (160 km). The approximate location of the Canadian Forces Station, Alert, is shown at the northern tip of this map. 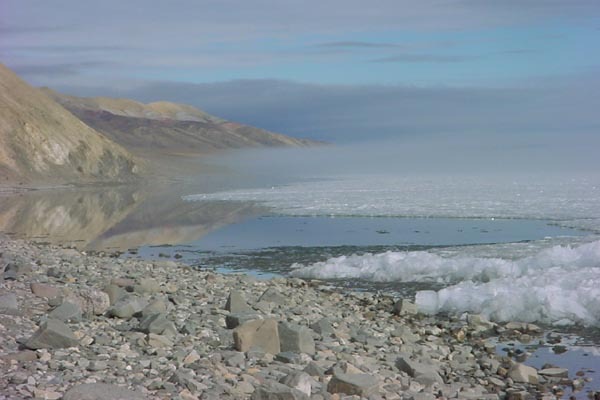 It is approximately 73 miles (118 km) NE of the lake. The Hazen Lake Basin is a thermal oasis within a polar desert resulting in summer temperatures up to 73 deg F (23 deg C). 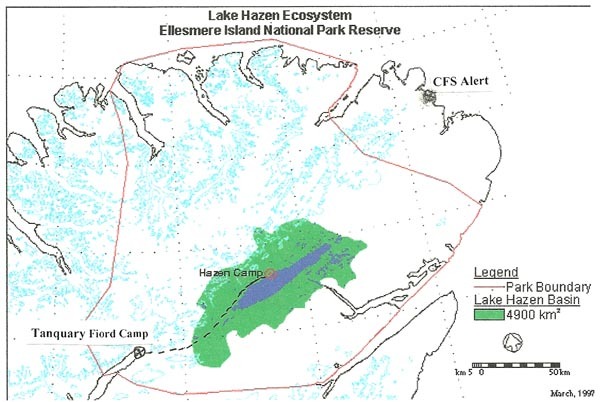 The weather in the area is moderated by the 43 mile (73 km) long Hazen Lake. The approximate coordinates of the lake are 81.833 deg N and 70.417 deg W. Magnetic north was to the south west of the lake. 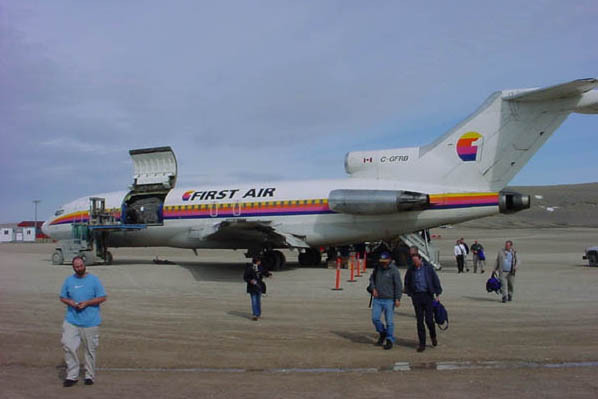 Freight is unloaded from the front of the plane while passengers unload from the rear. The landing strip at Resolute consists of dirt. A photo of the village of Resolute taken from a hill above town. The hostel where we spent a day preparing our backpacking gear and where we spent the night after returning from Ellesmere Island. 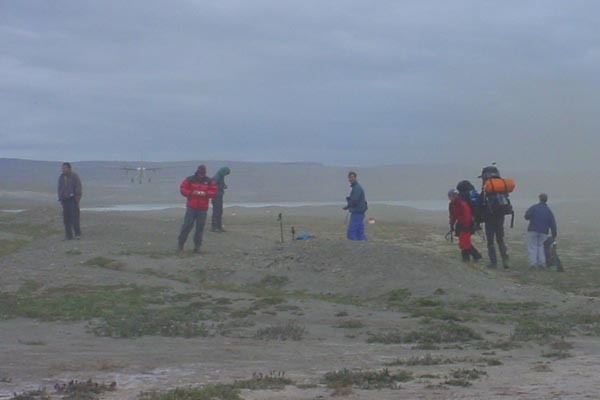 While preparing our gear for the next morning’s flight, we hoped for weather adequate for a flight north. The young woman in the center is Jill, our chief guide, Bart, the other guide is kneeling. 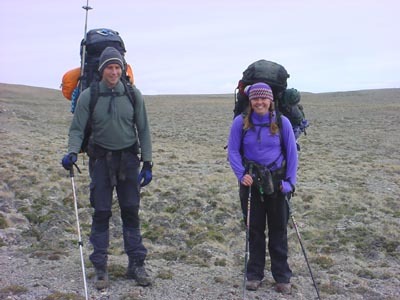 Jill carried a satellite phone in the event of an emergency. 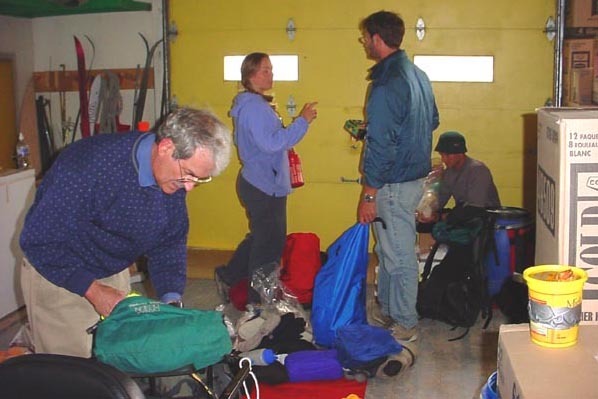 The next morning, after learning that we had good weather for the flight, we packed the Twin Otter with our gear. 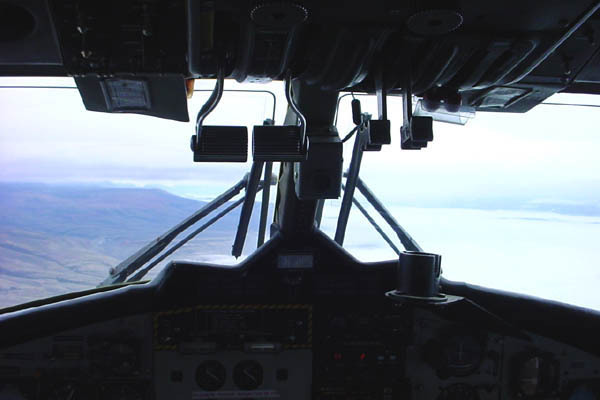 A view through the cockpit window as we approach the southwestern part of Ellesmere Island. The twin otter takes off and leaves us on our own. 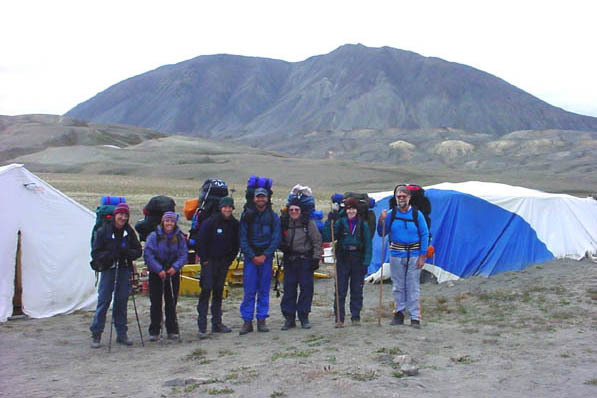 The average pack weighed around 65 lbs (29 kg). Our guides, Bart and Jill. 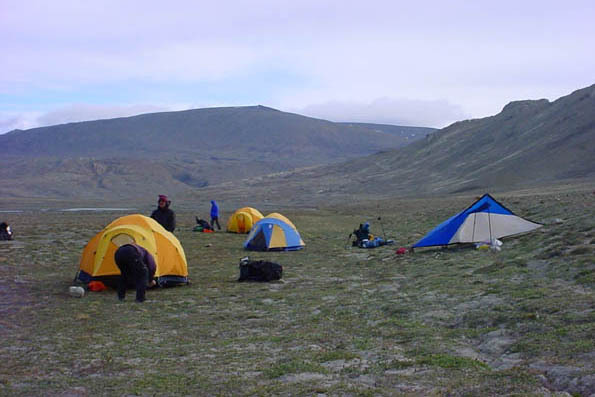 Our first camp after leaving the Hazen Lake Station. Brad tries his hand at some fly fishing. Brad and John take a well deserved rest. 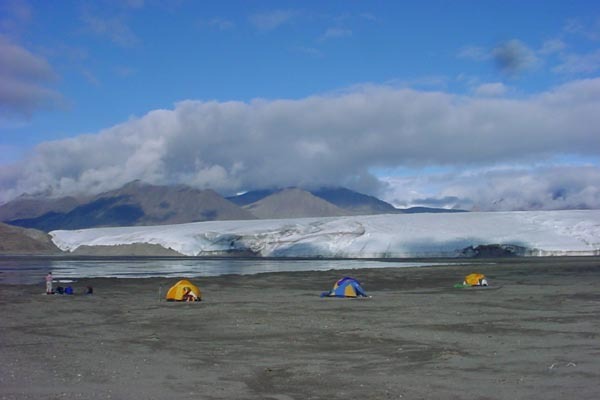 Our camp prior to crossing the streams from the Henrieta Nesbeth glacier. 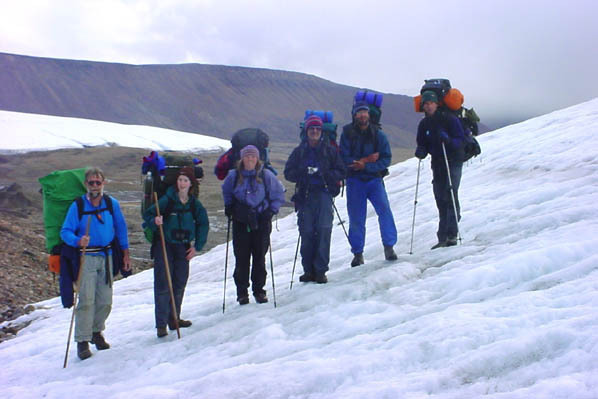 We waited for the so called “morning” to cross when the flow from the glacier would be at its lowest. The sun never set during our trip but did approach the northern horizon during the so called “night”. 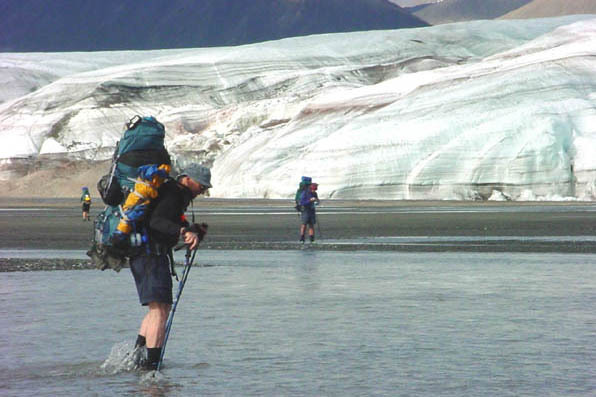 We had very numb feet after spending an hour crossing the many streams flowing from the glacier. We traversed the shore line on the left on our way from the Hazen Lake Camp. 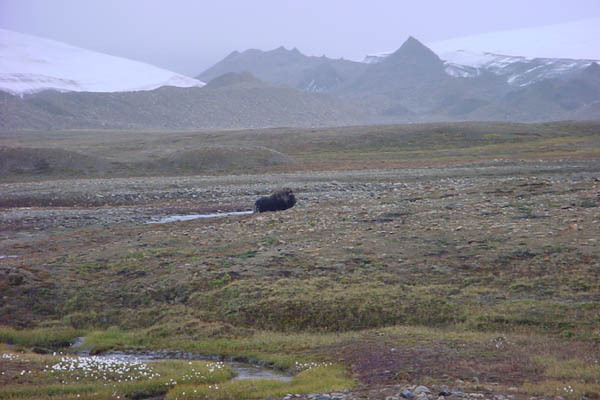 Along with the musk oxen we saw a wolf, fox, hares, and a variety of ground rodents. 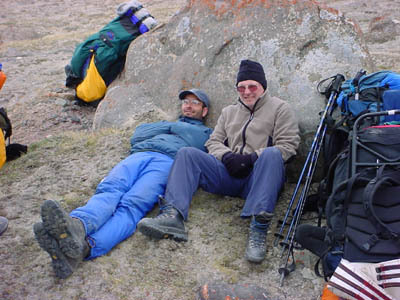 John and Bart take a break. 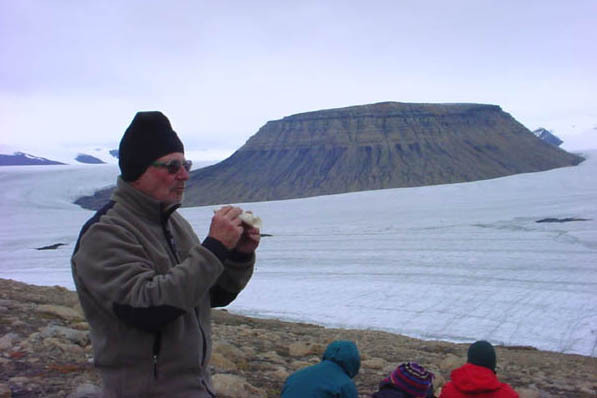 John enjoying some lunch in full view of the Air Force Glacier. 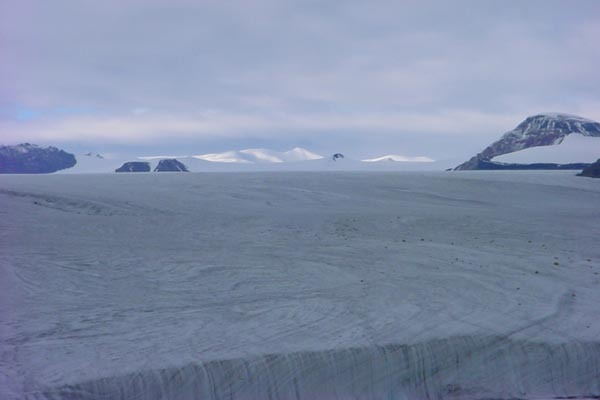 A view of the Air Force Glacier and regions beyond. John on one of the more pleasant days. A loan wolf in search of something to survive on in this harsh climate. 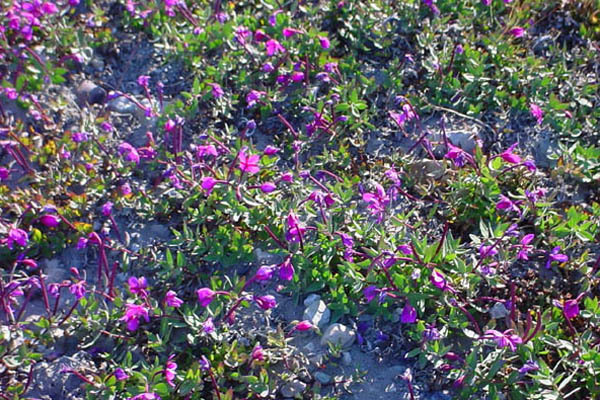 Some of the flora that clings tenaciously to the soil during the short growing season in this region. 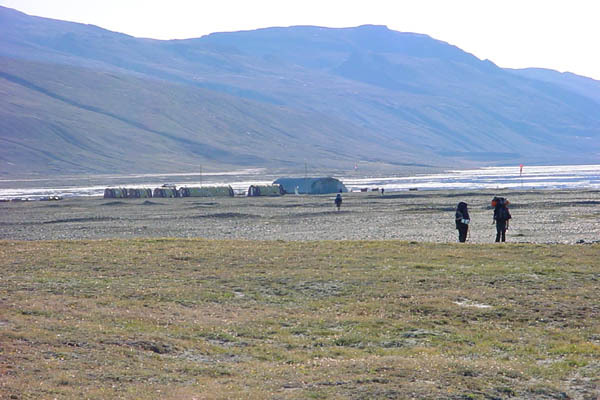 Approaching the Tanquary Fiord Camp, the end goal of our trip. 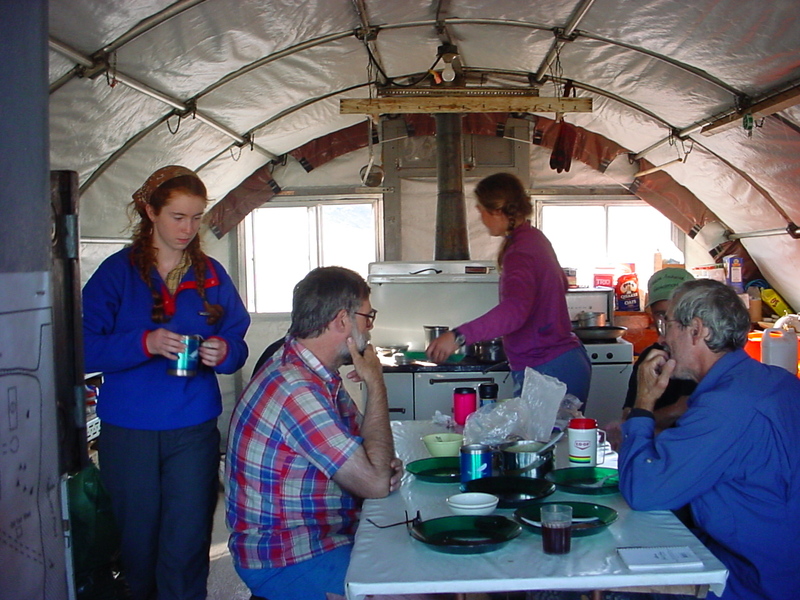 After arriving at Tanquary Fiord Camp, we cook up a great meal and listen to tales and park history told by the park rangers. 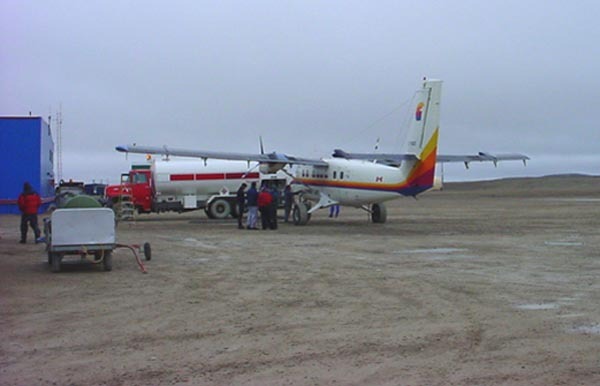 On our way back to Resolute our Twin Otter stops at CFS Eureka to take on more fuel. Eureka is a Canadian Military and research station. 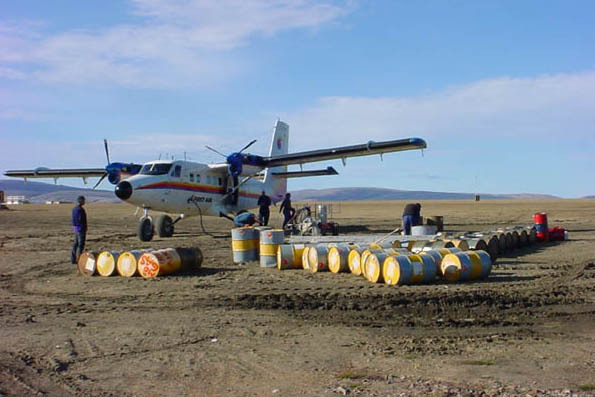 The aviation fuel barrels are brought in by ship to all the camps and stations that have access to the Arctic Ocean during the ice free season.